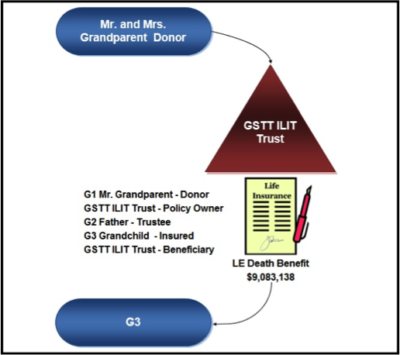 This will provide a gift giving opportunity that can last for the lifetime of the grandchild and can be a legacy asset, which will be kept and utilized throughout the lifetime of the grandchild. In addition, these assets will be protected from liability claimants, creditors and adversarial ex-spouse due to the asset protection benefits provided in the life insurance policies in most states. In addition, the distributions from the policy are tax-free. I like that you talked about how the wealth management strategy could be a legacy asset for your grandkids. My husband and I just met our first grandchild, and we want to make sure that she’s taken care of if her parents die. Maybe we should talk to a financial planning professional about a legacy asset. Sorry that I have not replied to you up to this point. For some reason, I was not notified about your comment. I would be happy to jump on the phone and discuss this particular strategy. Thanks.